Of all the schooner sets of K2, the X-pad training set the most protection. The materials are breathable and comfortable to wear. New cap design for knee and elbow pads and wrist guards provide an innovative best ever K2-saver set. 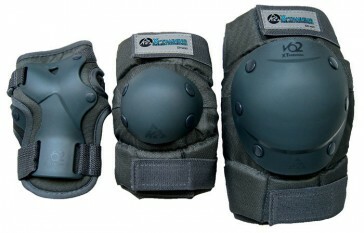 The elbow and knee pads are in every size one size.